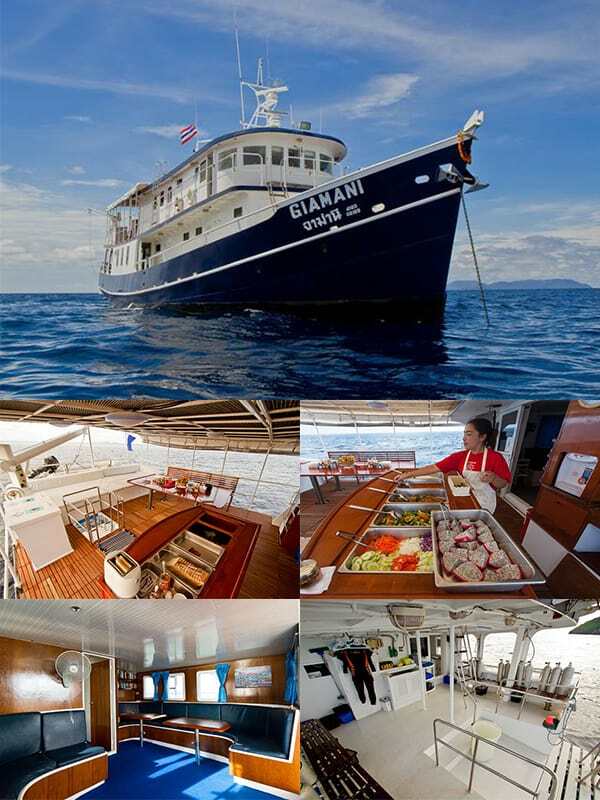 MV Giamani is owned by Wintana Co. Ltd, trading as Colona Liveaboards. 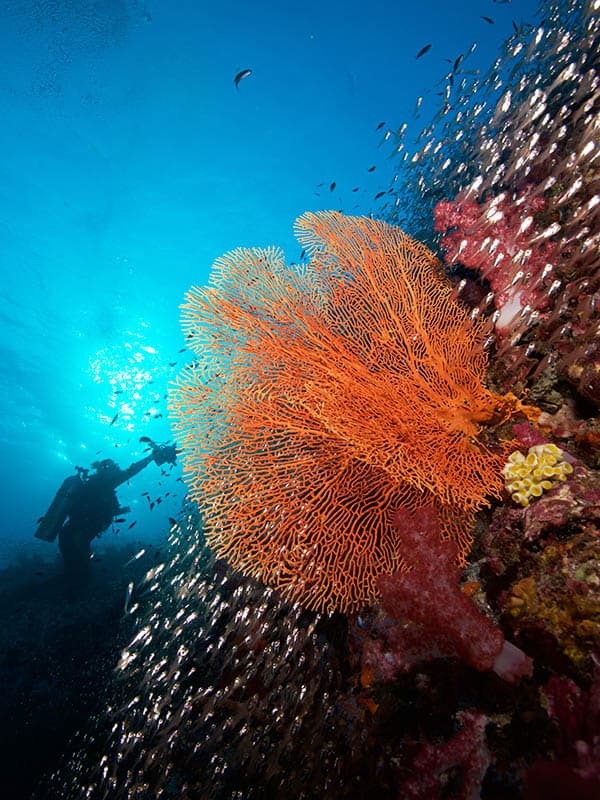 Colona Liveaboards has been operating scuba diving liveaboard cruises in Thailand, out of Phuket out of Phuket (Thailand) since the year 2000, and in all these years we developed a great expertise in the sector. The primary destinations have been (and are) the Similan Islands and Richelieu Rock in the north and Hin Daeng & Hin Muang in the south during high season, and Phi Phi & Racha Islands during summer. We also made trips to Myanmar (Burma) and the Andaman Islands. Colona Liveaboards is committed to offering the best diving and traveling experience by following the highest standards of quality, service, comfort, and safety. Unlike most of the other liveaboard companies, we will always put quality over quantity or price. We only employ highly trained and professional staff on the boat. Colona Liveaboards & Dive Center is based in Phuket near Chalong Pier (contact info HERE). Built in 1998 by an Italian naval engineer. MV Giamani was purpose built in Thailand as a scuba diving liveaboard in the year 1998, then purchased by Colona Liveaboards in 2007. Since then it started running cruises around the dive sites of Thailand’s Andaman coast as well as Myanmar, while in 2011 it even spent a few months cruising in the Andaman Islands (India). After MV Colona IV (another vessel owned by Colona Liveanoards) was retired in 2011, MV Giamani took over her successful six days (2+4) cruise schedule which will keep running for the foreseeable future. MV Giamani accommodates a maximum of only 10 guests in 5 en-suite cabins, each featuring independently controlled air conditioning. This guarantees the highest level of comfort and personal service on board, unmatched by any other liveaboard in the area. On MV Giamani we don’t provide just a service, we build unforgettable memories! It’s because of this that many of our guests return year after year, and recommend us to family and friends. Check out the video below!